Dentist Shares Helpful Ways to Address Dental Emergencies! When faced with a dental emergency, you need to think fast. Your smile is on the line! The quicker you’re able to act, the more likely you are to have a positive outcome. Do you know what to do if an accident happens to your mouth? Who should you call? Have all questions answered today from your local dentist in this week’s blog post. Any damage to your mouth is considered to be an emergency, but there are some emergencies that are more critical than others. Most patients would assume to go to the emergency room if they’re in pain. In most cases involving the mouth, your ER nurses and doctors may end up referring you to a dentist depending on your dental problem. When faced with a dental emergency, time is of the essence. Here are a few basic tips to keep your smile as healthy as possible while you make your way to the dentist. Gently rinse your mouth with warm salt water to relieve irritation and reduce swelling. If you have a knocked out tooth, recover it by the crown, rinse it off, and put it back into your mouth. If you can’t, don’t remove any soft tissues from your lost tooth and store it in a container of milk until you reach your dentist. If you’ve lost a restoration like a filling or crown, try applying a small amount of dental wax or toothpaste in its place until you reach your dentist. Try to floss around a specific tooth that’s causing your mouth pain, especially if something is stuck between your teeth. Use a clean compressor towel to apply firm pressure to reduce bleeding of an emergency area. Hopefully, you’ll never have to face a dental emergency, but if you do, you’ll be prepared! As your dedicated family dentists, Dr. Armin Tepner and Dr. Mark Farthing, we’re here for you in times of distress. The best way to stay prepared for a dental emergency is to be equipped with a dental practice’s phone number at all times. This way, you have the advice and service of two highly trained professionals at your fingertips. 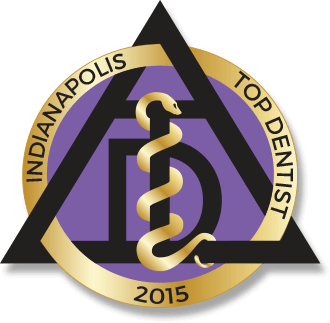 If you ever have a question, feel free to call Indianapolis Family Dentistry. Comments Off on Dentist Shares Helpful Ways to Address Dental Emergencies!